Levoca is one of the Royal towns in Eastern Slovakia with a very picturesque main square. But that’s not all. 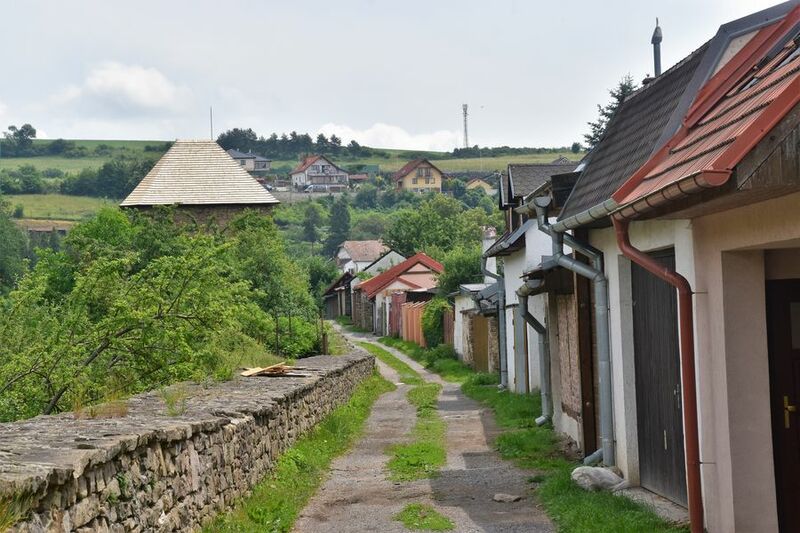 Let me show you more of Levoca town in this article. 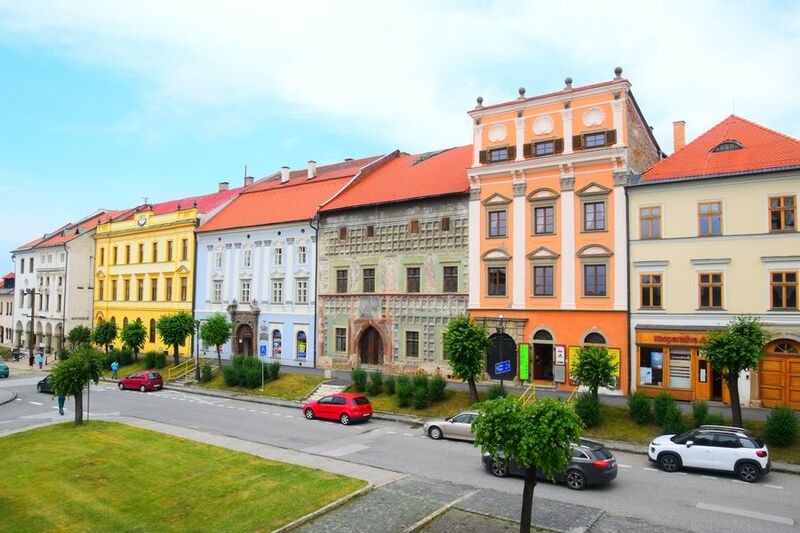 What things to do in Levoca besides strolling around admiring the beauty of houses? Levoca was first mentioned in a written document in 1249. Unfortunately, over the centuries, not many old houses remained because of many fires in town. Most buildings we can see in the current downtown date back to the 16th century. Yet, they are worth seeing. So beautiful! In my humble opinion, Levoca city centre is one of the nicest ones in Slovakia. 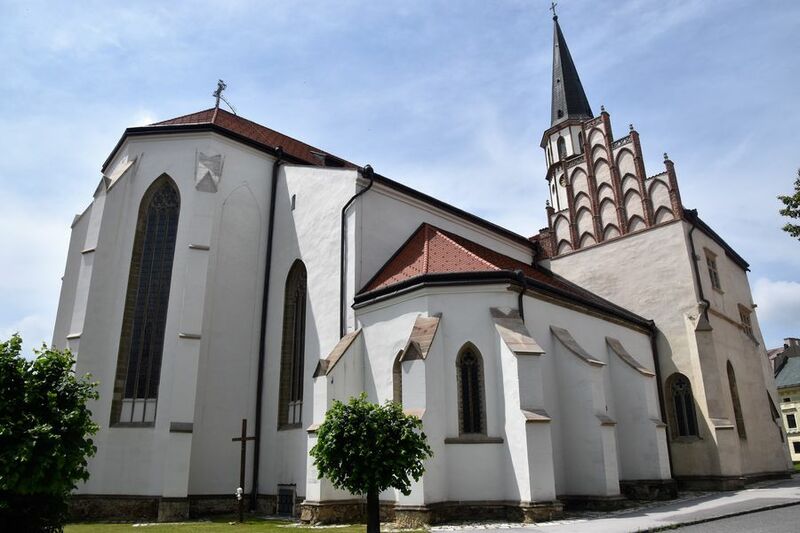 Saint James’s church (Kostol Svateho Jakuba) is the most known attraction in Levoca, mostly thanks to the biggest wooden late-Gothic altar in the world. I am speaking of the 18.62 m high three-part altar built by Master Paul between 1507 and 1517. 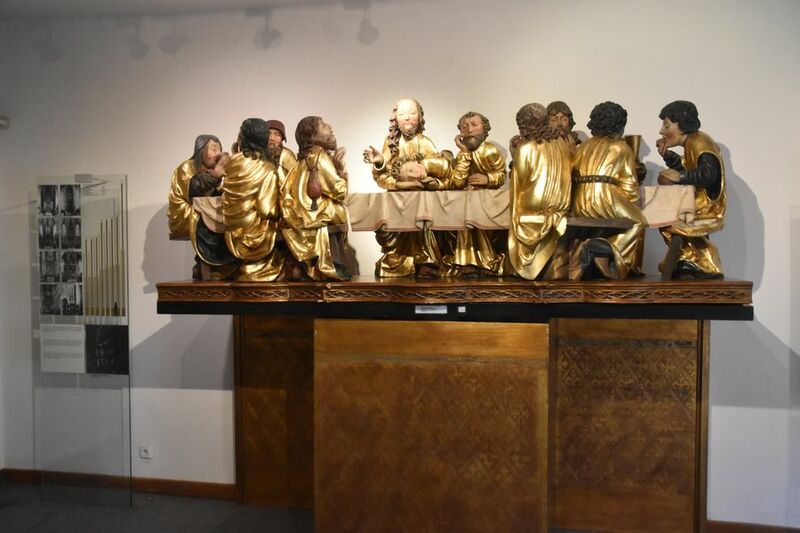 The altar depicts Last supper where the apostols are not listening to Jesus, except Saint Peter. Saint James’s church has a Renessaince chapel and a library on the first floor. There were 5 original entrances to the church but then a big fire destroyed part of the interior so after that, 2 doors were bricked up to reduce the risk of fire getting into the church. Frescoes on the left wall date back to the 14th century and were uncovered only in the 19th century. They show life of Saint Dorothy. Besides the famous Gothic altar, inside the church we can see also a precious statue of St. James, Gothic pipe organ from the 17th century, thombs of Thurso’s family members and other important altars. Unfortunately, it’s not allowed to take photos inside the church and unless you go there during a mass, you need to pay for a guided visit. 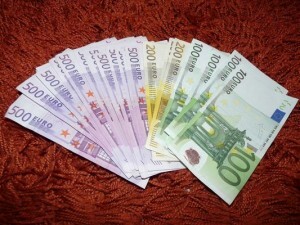 Money then goes to the church restoration. 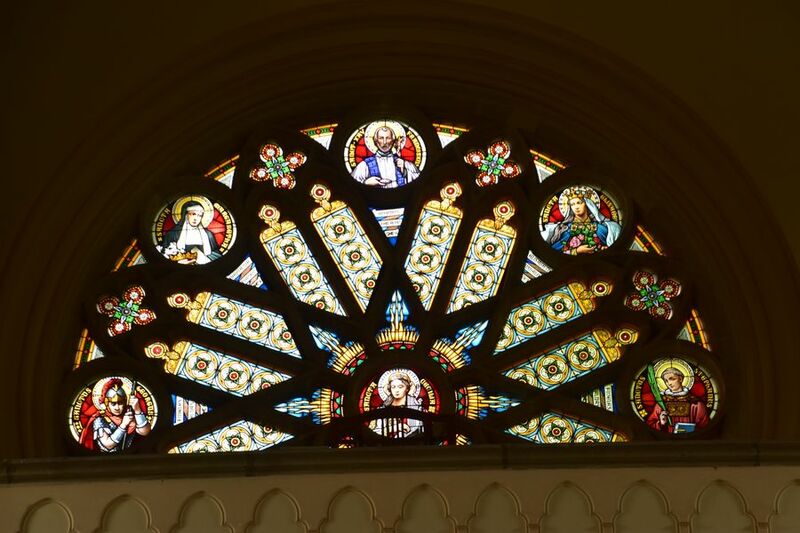 Since 1965 Saint James’s Church has been protected as a National Cultural Monument. The original Gothic Town Hall was burnt down in a fire in 1550 and unfortunately, all the documents until that year were destroyed. 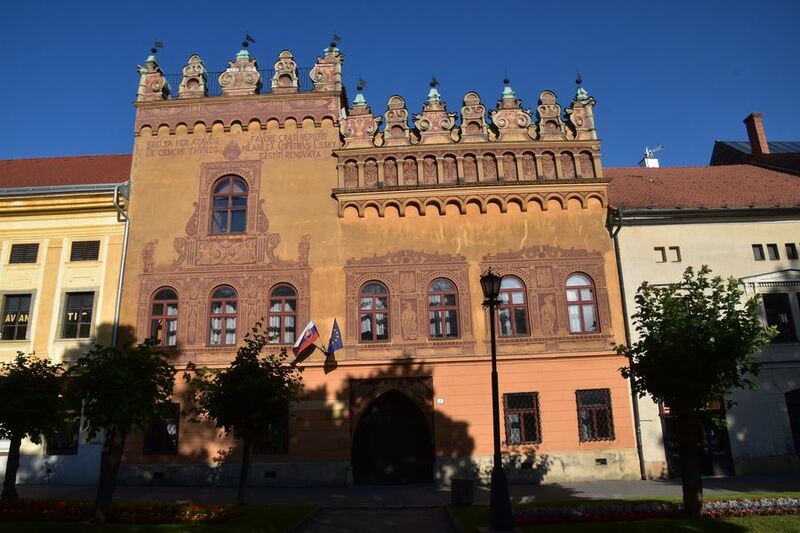 The current Town Hall, called Radnica in Slovak, is from the 16th century but was redesigned a few times since then. A belfry tower was built next to it. In the past, there was a wine cellar below the Town Hall. If you are standing outside of the Town hall, notice 5 women painted on the Southern facade. 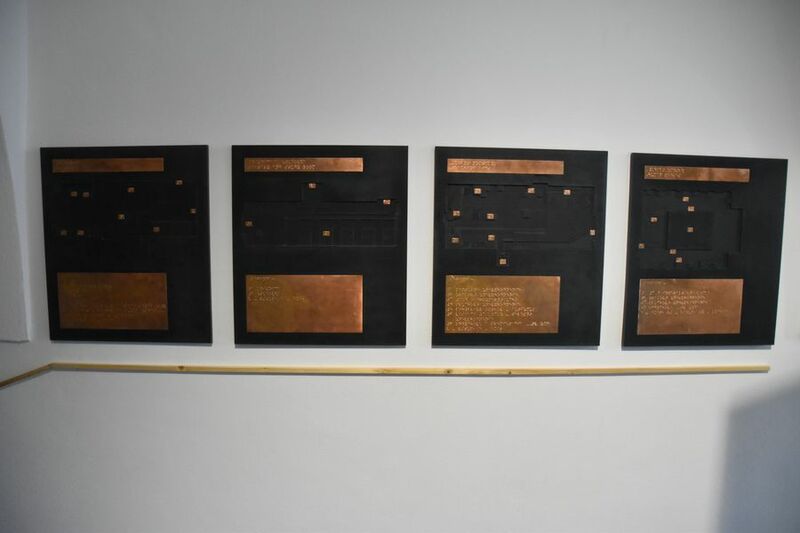 Each one of them represent a civic virtue, such as measure and mildness, caution, courage, patience and justice; that were important back in time. Did you know that Jan Amos Komensky published Orbis Pictus in the Town Hall? Nowadays, the Town Hall now holds expositions of the Spis Museum. We can see there an important chandelier (a gift from Maria Theresa), sticks and other things used to punish people, many statues, altar wings and statues from churches, paintings, etc. Don’t forget to go outside to the terrace where you can get one of the best views of one side of the main square. The colorful burgher houses down the street are well visible from there. Next to the Town Hall you can notice the famous Cage of Shame from the 16th century. It’s the only one still existing in the whole Slovakia. In the past it was used for public condemnation. Criminals, prostitutes and other people with ”bad values” would be locked inside the cage. Also women who would walk outside alone without a man in darkness would be put inside the Cage of shame for 24 hours. The legend says that the first woman to have been locked inside was the Mayor’s daughter. As she walked along the street alone at night, she was put inside the Cage for double punishment of 48 hours instead of 24. For bigger humiliation, the cage was sometimes used during festivals when there were more people in town. The people would throw rotten vegetables and rocks and spit at the person inside the cage. 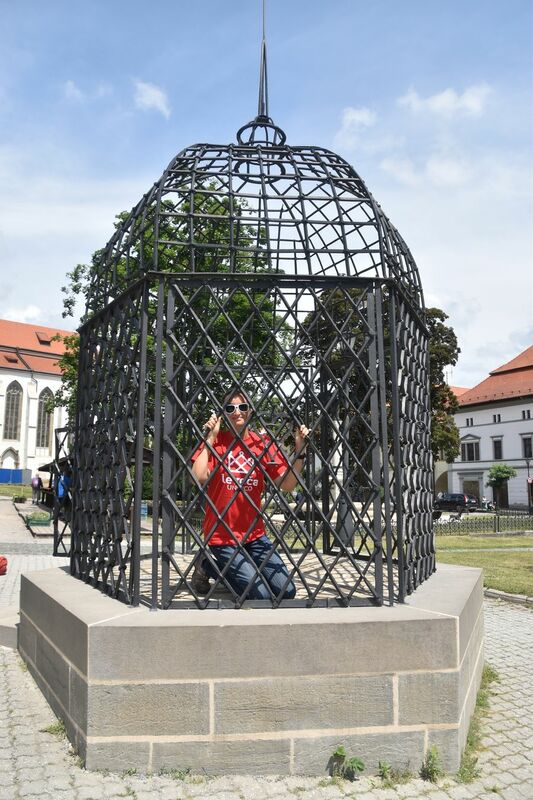 Nowadays the Cage of Shame is kept locked because when it was open a few years ago, tourists were not careful when taking photos and they damaged it a bit. But I got a photo inside the cage as the nice ladies at the Tourist Info Centre opened it for me 🙂 Something nice to notice is that the metal cage is decorated with metal hearts and lilies, both symbols of love and innocence. The wealthiest people used to live at the main square in the city centre, and those poorer ones owned houses along the side streets. The poorer, the further from the main square. The original houses had shops and guilds in the front on the main floor, and their owners lived on the second floor. The back of the house was reserved for animals. My favorite house in the whole Levoca city centre is Krupek’s house (Krupekov dom) which belonged to a businessman from Krakow since 1529. In 1980’s it was just a random grey house, not special at all, but during its restoration fresco paintings were uncovered. Since then the house is very colorful and we can find Saint Sebastian as part of the fresco wall painting. Another burgher house worth visiting is the light blue Mariassy’s house (Mariassyho dom) which has a lovely oriental look. The Renessaince house with arcades, such as this one, is typical for Levoca city centre. Jan Mariassy, its original owner, was the first aristocrat (noble man) who was allowed to buy a house in Levoca in 1654. 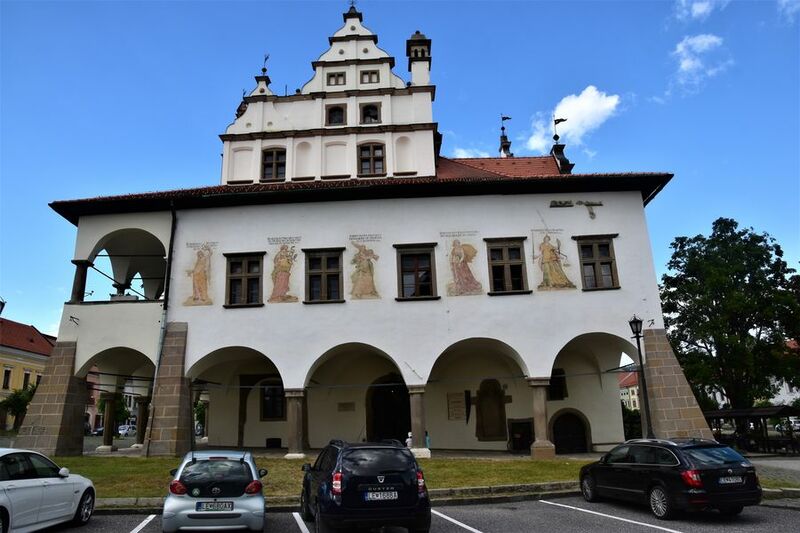 Until 1654 the aristocracy was non-existent in the Royal town of Levoca, which means they could not own buildings in Levoca until that time. 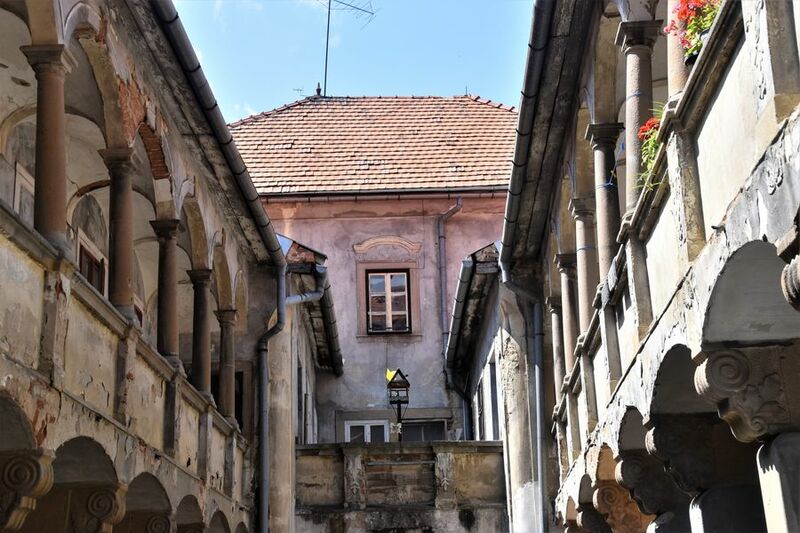 I recommend you to visit lovely courtyard behind the original Mariassy’s house to get a glimpse of how original courtyards used to look like centuries ago. 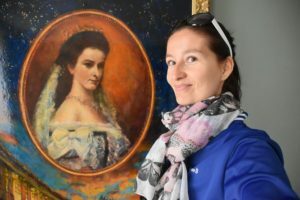 Nowadays the city Gallery is located on the second floor of Mariassy’s house. 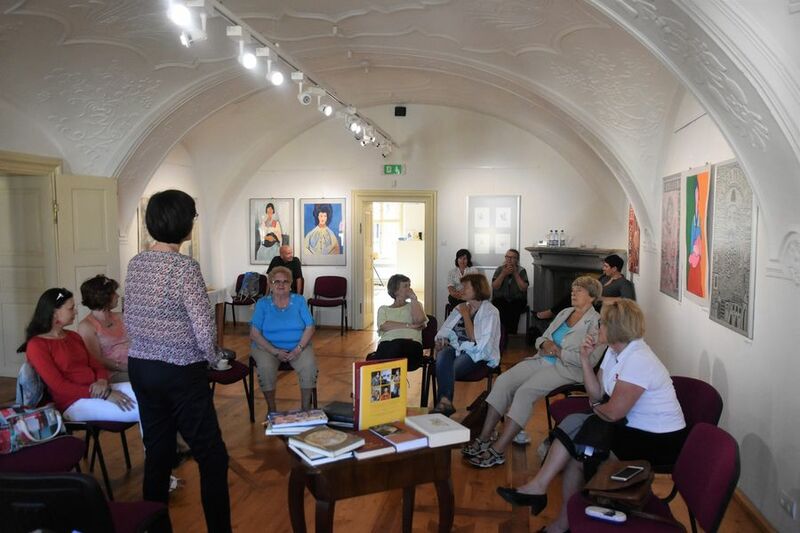 I attended a small event in the gallery where they read some books. It was my first public book reading, so interesting! 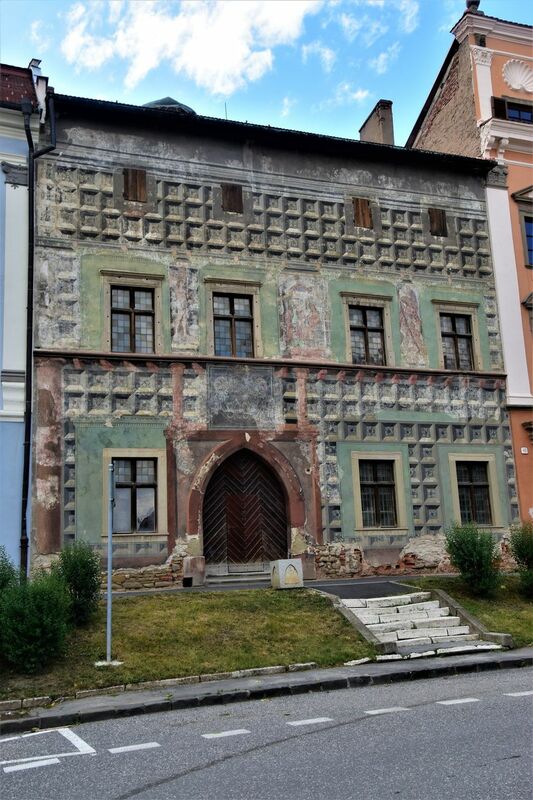 Probably the most special house facade in the Levoca city centre has the Thurso’s house (Thurzov dom in Slovak). It’s the only house with the original Renaissance attic still left in town. 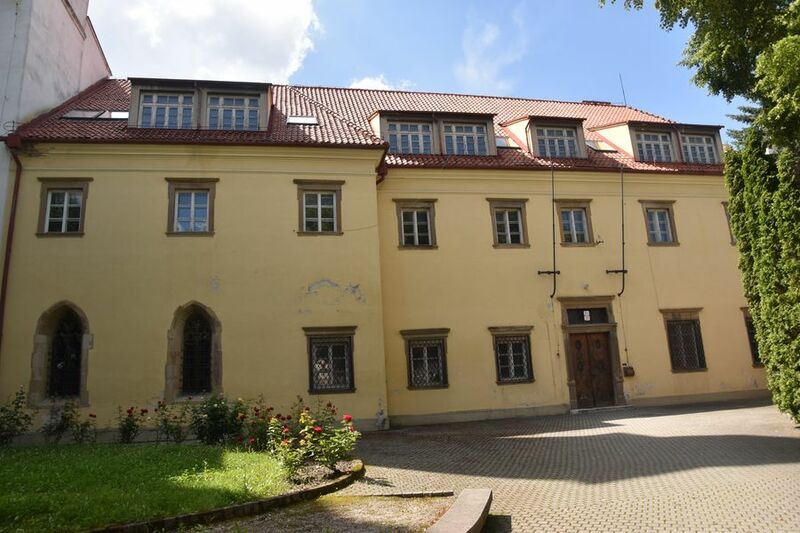 Now it is the seat of the State Archive in Levoca. In 2009 Levoca was proclaimed a UNESCO Heritage Site. Levoca was the centre of Spis region which is why it’s been a famous pilgrimage site. The Protestant church, Evanjelicky kostol in Slovak, was designed by architect Antonin Povolny. 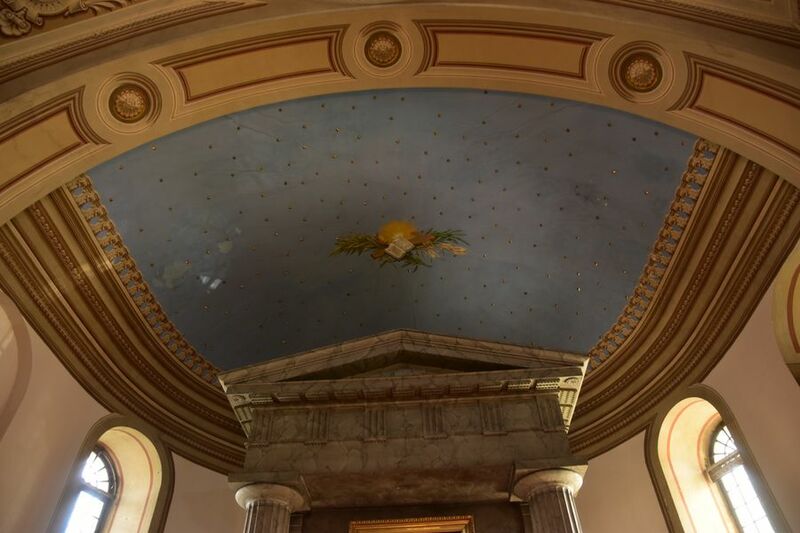 It was built from 1835 to 1837 in Classicist style in the shape of a Greek cross. Inside we can find the second biggest historic library in Slovakia holding documents from the 16th century up to the WWII. The biggest Slovak library is located in Kezmarok. Out of the whole library, up to 17,000 books have been processed already and can be found online, too. It’s not only religious documents, but also mathematics, physics, books about music, etc. Many Slovaks and foreigners go to the library to study the books. If you prefer to check the books in person and not online, it is possible to go there and read them without taking them out of the library. 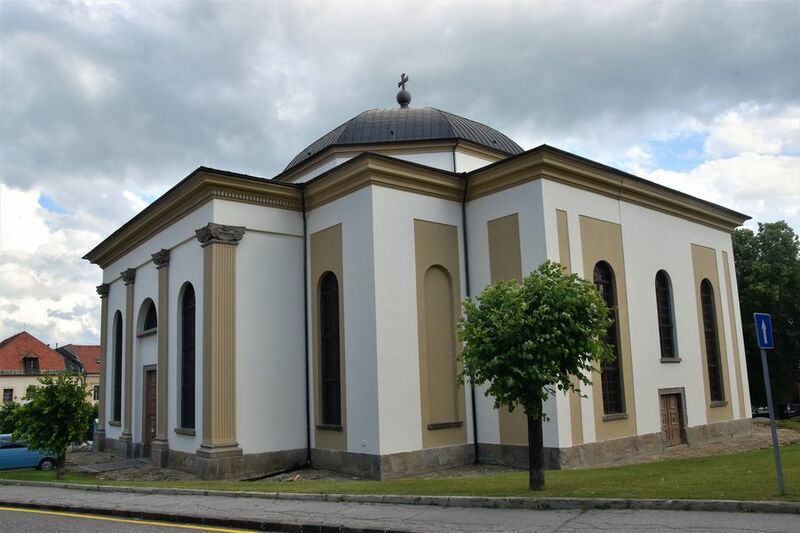 There is a similar church in Kezmarok which was influenced by the Protestant church in Levoca. The Protestant church in Levoca holds important artifacts: a metal cross from 1713 with a Jewish inscription, a Baroque cross, and a Baroque pipe organ from 1697. 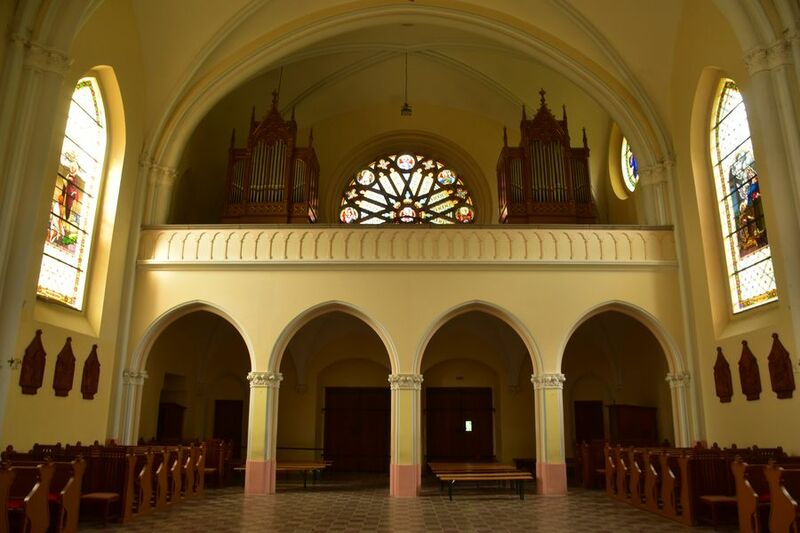 Until the pipe organ will be repaired, another pipe organ, a light blue organ from Czech republic is being used. The main altar was painted by Jozef Czauczik, a paintor from Levoca, and it is a copy of an altar painting from a Protestant church in Germany. The majestic chandelier in the middle of the church was a gift from Protestants in Berlin. 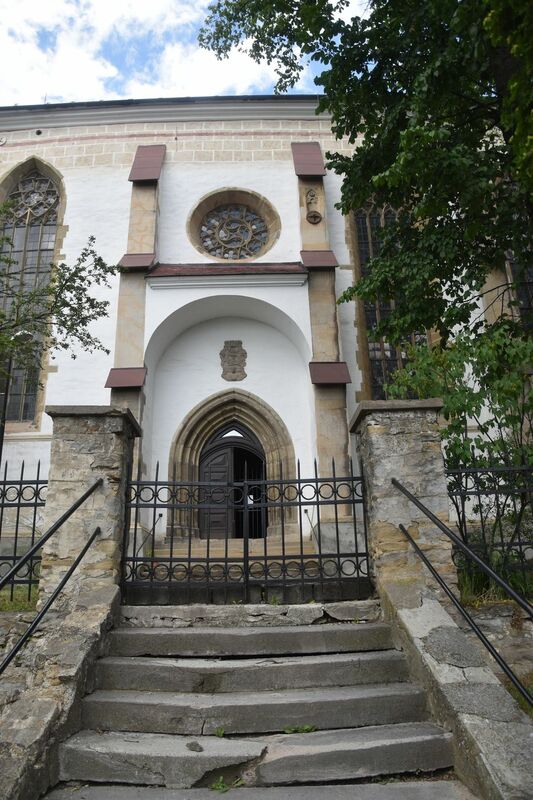 The Protestant church is open to the public for free during summer months. If you are not visiting at time of a mass, a guide will open you the church. Sometimes there’s also concerts organized inside of the church. 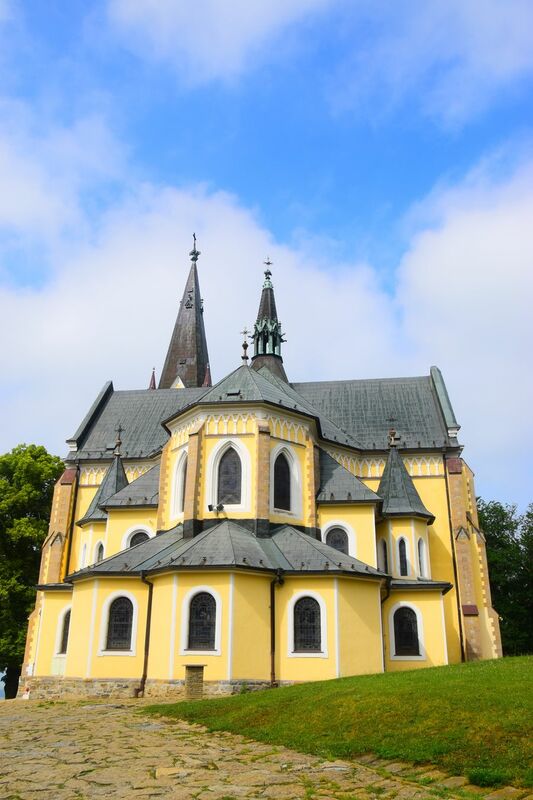 The beautiful yellow church Basilica of the Blessed Virgin Mary (Basilica Minor), the so called Kostol Navstivenia Panny Marie in Slovak, we can see nowaydas on top of the Marianska hora is the second church built in 1914. Originally, there was a different church on the nearby hill. On the field under the current church there’s a wooden pillar marking the place where a wooden altar stood. The Pope John Paul II hold a public mass there in July in 1995. Marianska hora is a world-known pilgrimage site which is visited by thousands of pilgrims every year. 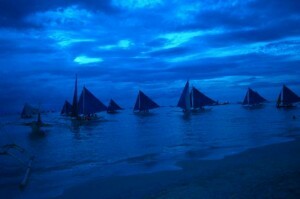 The main pilgrimage takes place there every year the first weekend in July. You can get up there or walking from the Levoca city centre along the John Paul Alley, or by car. As my time in town was very limited, I went there by car but next time I promise to go by foot, as that’s the real pilgrimage, right? The church is open every day for free and you don’t need any special permission to visit it. Just please keep quiet. And remember to visit also the little wooden church behind the main one. It’s super cute! 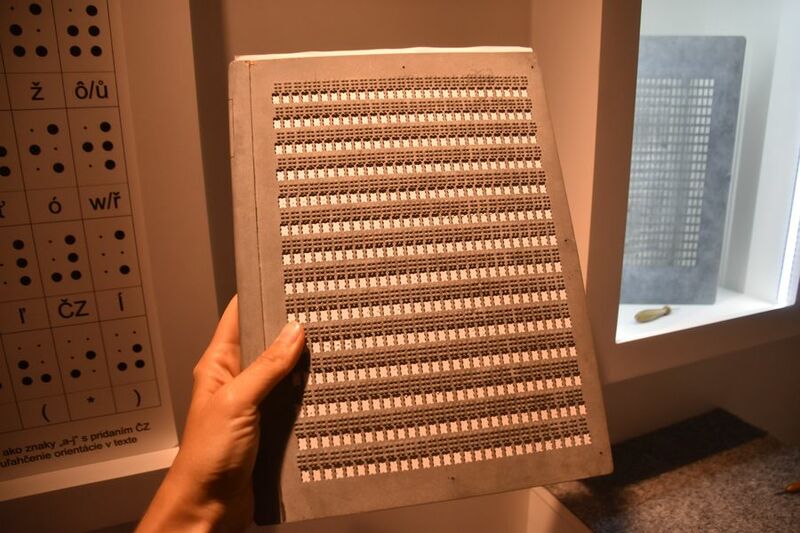 The museum was built in 1990 and renovated in 2017 in a very modern way. 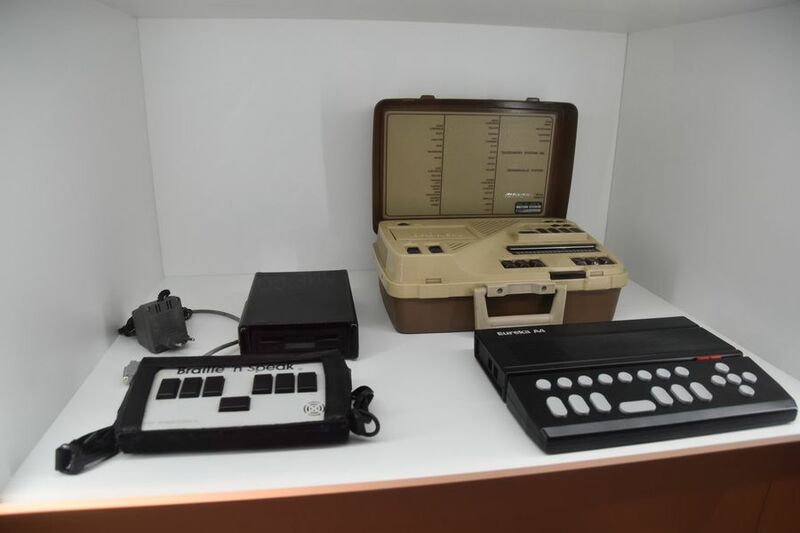 Visitors can try rare exhibits and learn about people with special needs. I have to say I had tears in my eyes throughout the entire visit. We tend to take so many things for granted but some people cannot do certain things, and when I was trying how they see/hear/etc, I even had goosebumps. The museum has 4 floors; with each dedicted to a different topic: history, library and study room, teaching aids, human senses. 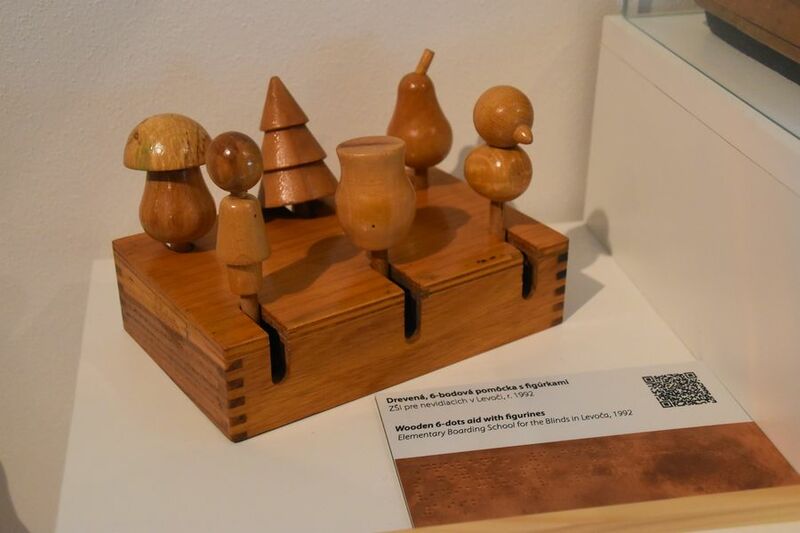 If you visit Levoca, you have to go to the Museum of special education. Trust me, you will love it and appreciate your life more from then. More info can be found on Museum of special education website. We found out that Master Paul used to live in the house number 20 which is why a museum dedicated to his life stands there now. The house, nowadays the museum, is located right on the main square just a few metres from the Town Hall. In the museum we can learn more about Master Paul, who he was and how he lived, and we can admire some of this works. Because many documents were lost in fire, we don’t even know the surname of Master Paul. We do know though he was married and had kids. Master Paul was a talented sculptor and carver living in the end of the 15th century and beginning of the 16th. 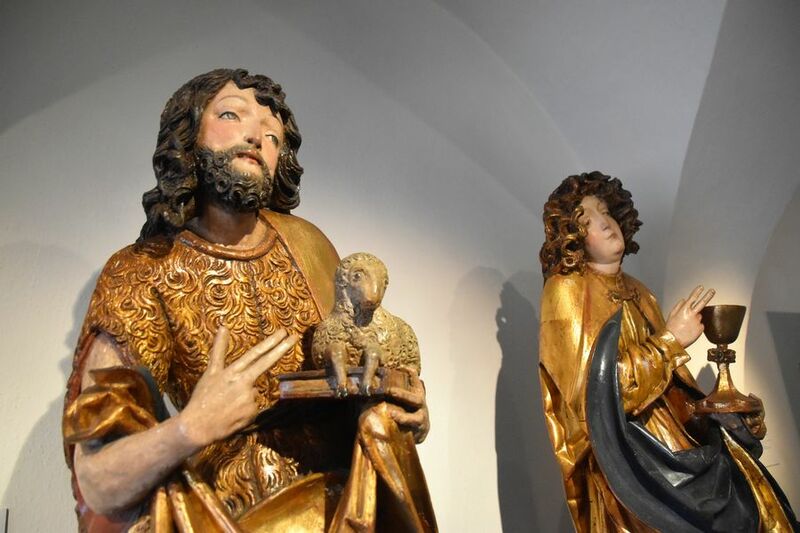 Most of us know only his most famous work, the Gothic altar located in the Basilica of Saint James in Levoca. However, he made many statues and a number of religious artifacts that are placed all around the Spis region. Through his works the museum visitor can go back to Gothic or Renaissance era. It’s a small but very inspiring museum full of many religious works done by Master Paul. 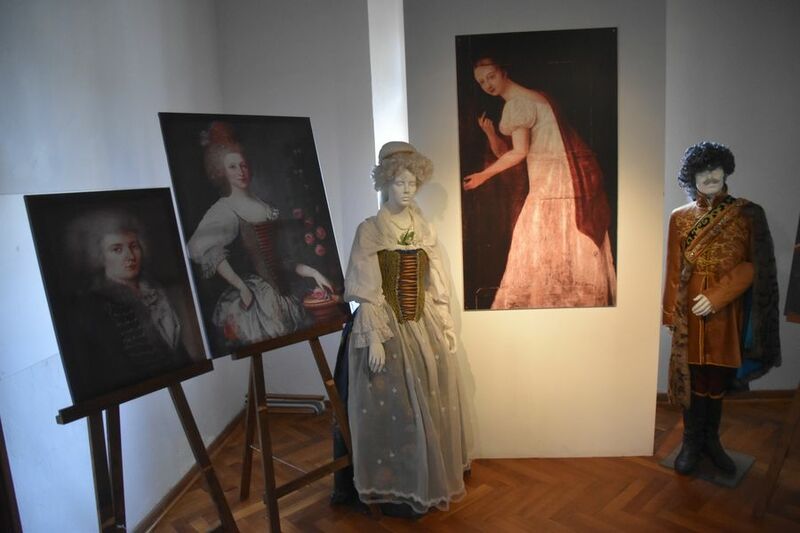 Master Paul’s House Museum is one of the 3 parts of the Spis museum in Levoca, and more information can be found on Spis museum website. If you would like to have a closer look at the part of the Gothic altar by Master Paul that is located in the Saint James’s church, you can do so there. The museum holds a replica of the famous altar which you can even photograph. The original defensive town walls from the 13th and 14th century were 2.5 km long. They were restored in the 16th and 17th centuries. 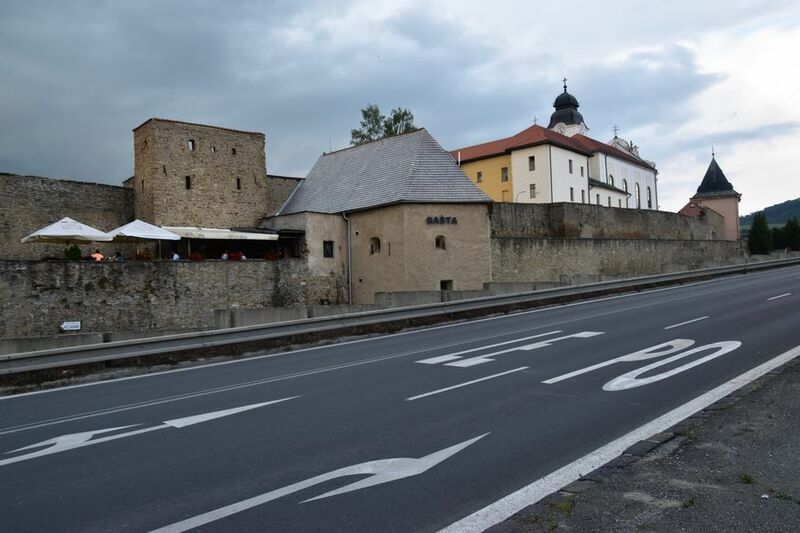 Now 2/3 of the walls are still well preserved which makes it the longest current town wall system in Slovakia. They had 2 walls with a water ditch in between them. The whole medieval town of Levoca was situated inside the walls. 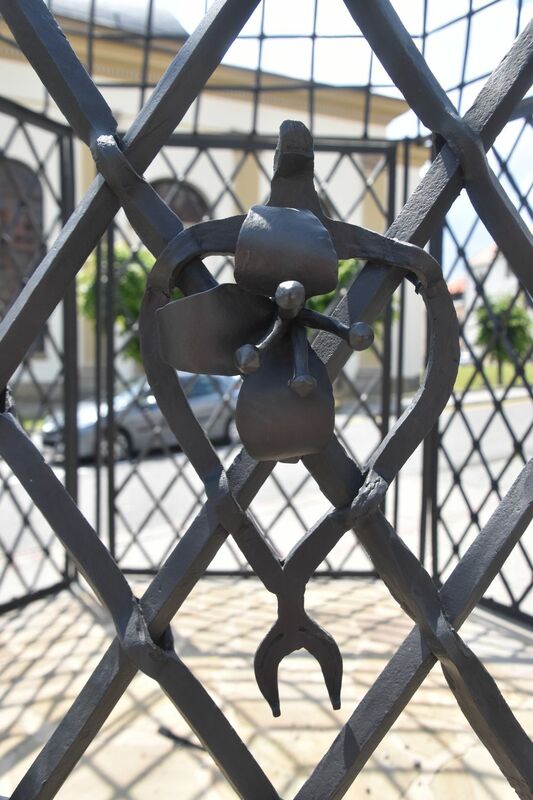 Just 2 out of 3 main gates remain: the Menhard gate and Kosice gate. We can also walk under the Polish gate but that one was not part of the town walls. 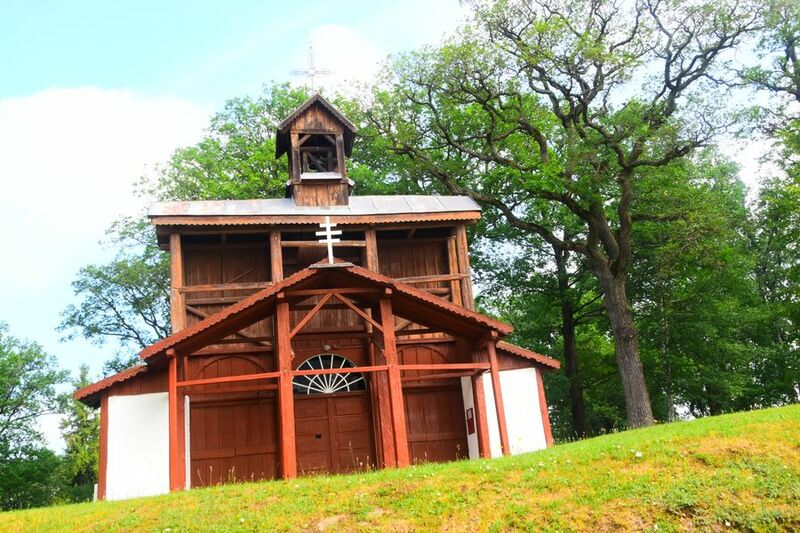 The Minorite Monastery was built in the middle of the 18th century on the street which was named after it as the Monastery street (Klastorna ulica). 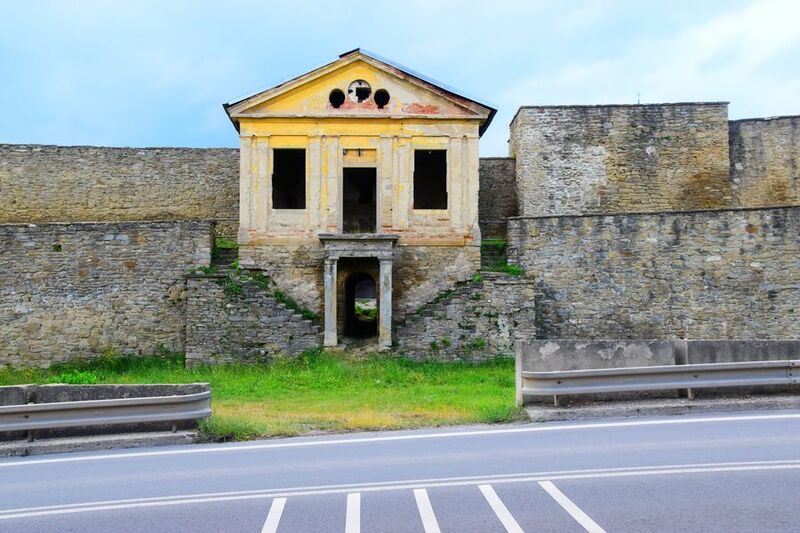 It still remains one of the few preserved Baroque churches in the Spis region. The Minorites living in the monastery were helping the poor people living outside of the town walls. It’s interesting to know that once there was a prison inside the monastery, then also a Jesuit school. The so called ”Black church” next to the monastery has only one nave and it’s part of the city walls. It’s a Roman Catholic church with really precious frescoes inside but I didn’t get a chance to visit as it was closed. I could only have a look through the main gate. 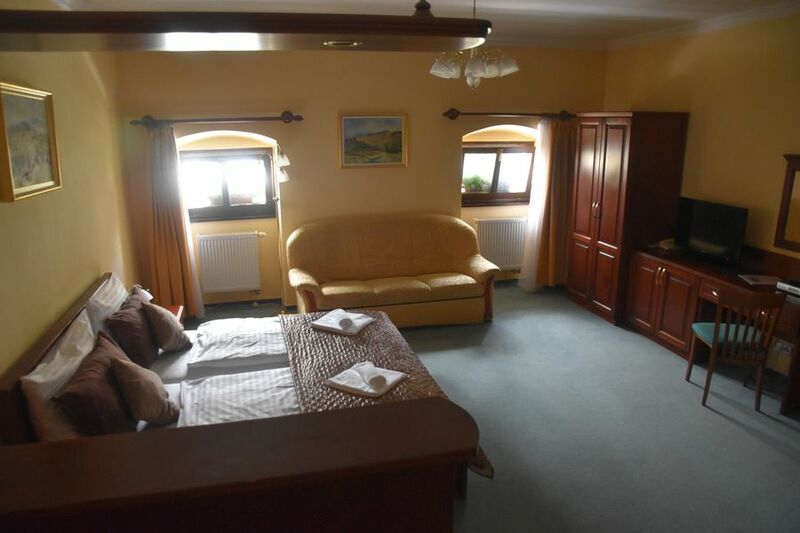 If you are looking for an authentic hotel in Levoca right at the main square, then I can highly recommend Hotel U Leva. That’s where I stayed myself, too. 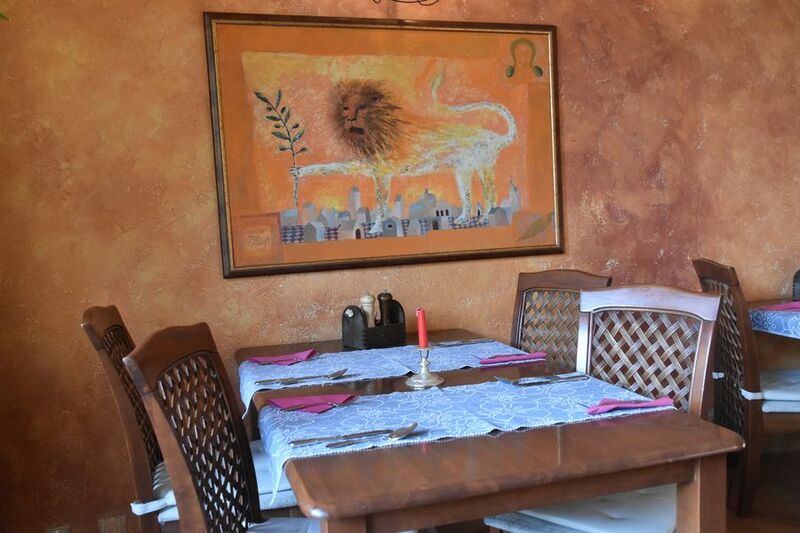 It’s a 3* hotel built in reconstructed burgher houses, with the oldest ones dating back to the 14th century. 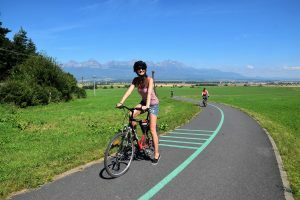 All the main Levoca attractions are just a short walk away from the hotel. Very convenient, right? I stayed at a big apartment there with 2 rooms, 2 bathrooms and a kitchen. It was really cool to see the Town Hall right from the little windows in my room. I have to say that all the hotel staff members were nice and helpful. There’s even new small wellness centre with dry and infrared sauna. 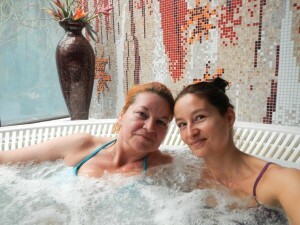 I only had time to try infrared sauna, which is my favorite anyway. 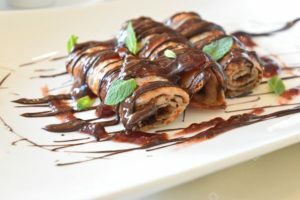 Aw and you have to go to have a meal at the Hotel U Leva restaurant on the main floor which is possible even if you are not staying at the hotel. 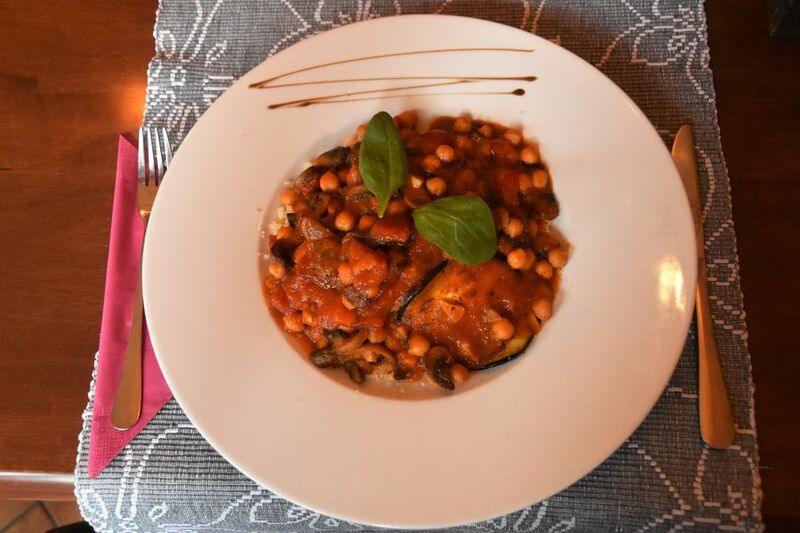 Despite of no vegan meals on the menu, they prepared me delicious vegan meals. I had tomato soup and couscous with vegetables, yummy! When I was there, there was a blind man playing a piano which even added to the lovely romantic atmosphere. I already had a cup of hot tea at the same restaurant years ago so I knew how it looked like. I really enjoyed the design. 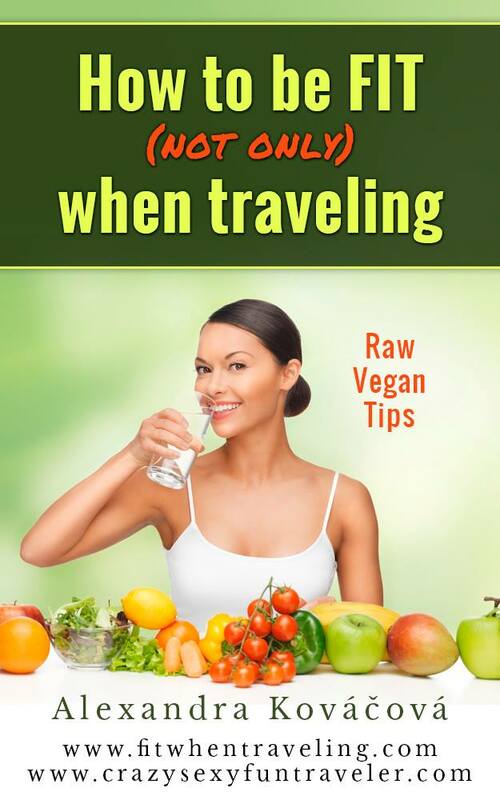 For those who don’t know, I’ve been vegan since July 2013 and on my blog I also mention places where it’s not a problem to get vegan meals. 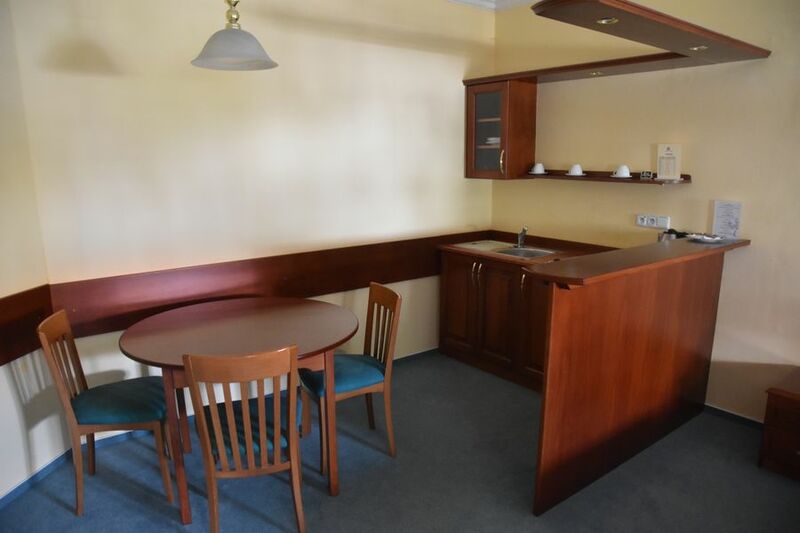 Hotel U Leva in Levoca is one of them. If you ask for a vegan meal, you will get one. But I really hope they will add vegan meals to the menu soon as they can prepare a few. 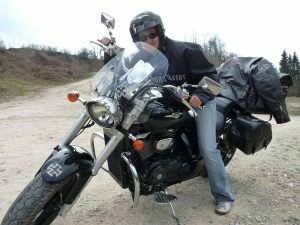 I had 2 tour guides in Levoca, both very nice and knowledgeable. You can book a tour with them at the TIS Info centre on the main square. If I am not mistaken, they do tours in more than 5 languages. 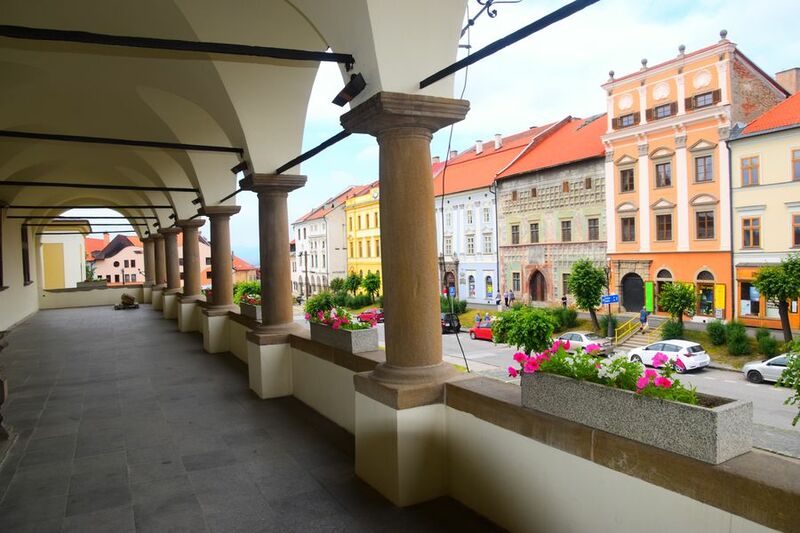 To learn more about this lovely city, visit Levoca official website. Did you know that Levoca belongs to Tatry Spis Pieniny region in Eastern Slovakia? 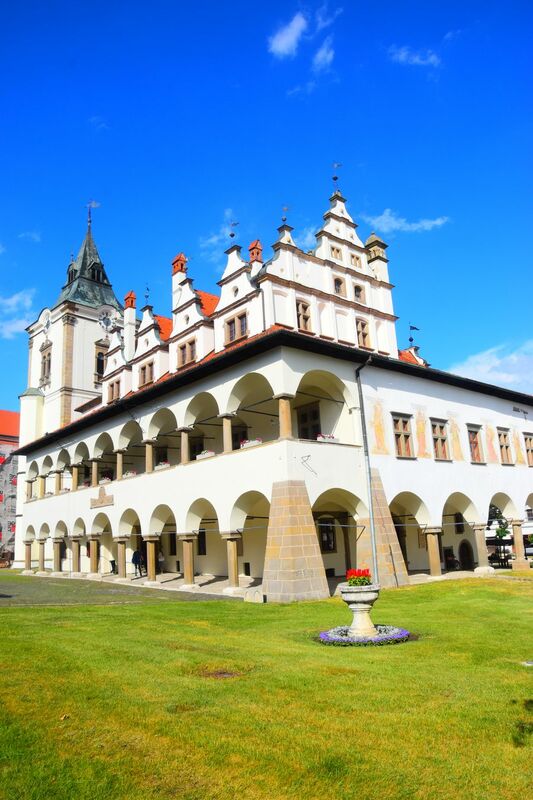 If you are visiting Levoca, I recommend you to check out surrounding places too. 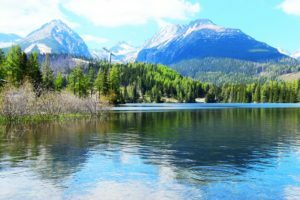 Have a look at the website Tatry Spis Pieniny for more information about the area. ***Huge thanks for this amazing trip goes to Levoca info centre, Tatry Spis Pieniny regional tourist info centre and Hotel U Leva. I was in Levoca in October and from the entrance i.e. from the walls suprised me. 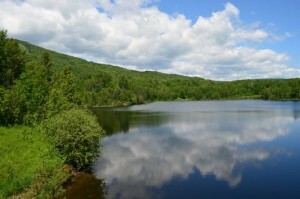 I did not know what to expect, and I came to o beautiful and interesting town. 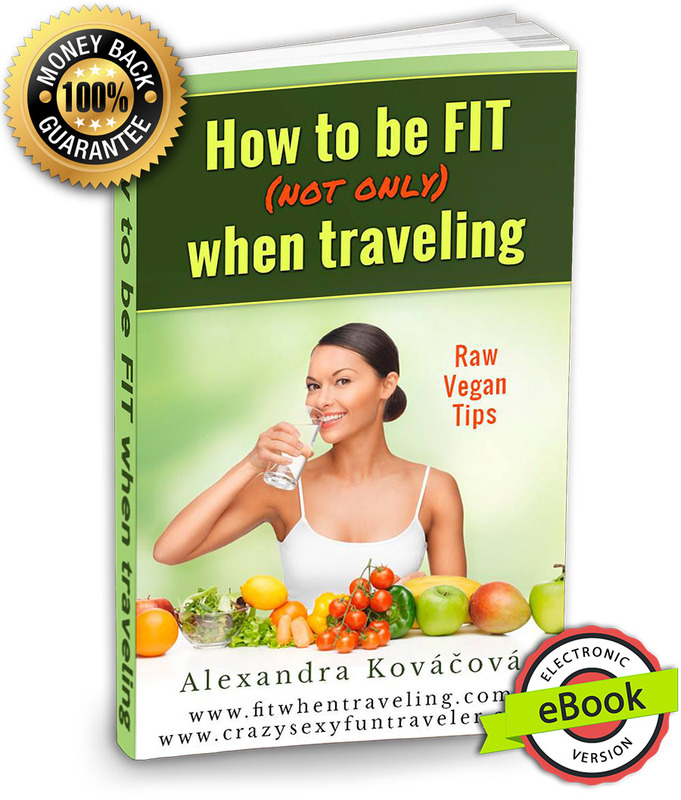 I recommend to everyone!